The Time in Tucson is NOT Daylight Savings Time. Unlike almost everywhere else, Tucson Arizona does not observe Daylight Saving Time (DST). It hasn't for the last 40 years. Arizona does not observe DST which can cause plenty of confusion for both residents and visitors. So right now the time in Tucson Arizona is in the same as Denver Colorado. It will remain that way from November to March. However, during the summer the time in Tucson AZ falls behind Denver. It becomes the same as Los Angeles. So from March to November the time in Tucson is the same as the pacific standard time. The reason why Arizona doesn't change has a lot to do with the weather. Throughout the United States the annual change to daylight saving is tied to energy conservation. Using DST during the summer means more sunlight at night. That homes don't have to turn on lights as early. According to the U.S. Government, that results in energy and fuel savings across the U. S.
Over the course of the last 100 years, the United States (including Arizona) moved on Daylight Saving time in both World War I and World War II. Then as soon as the wars were over Daylight Savings time was again abandon. In 1973, a more permanent federal law was introduced to address the oil shortages of that time. Arizona asked for and was eventually granted an exemption. As mentioned in an Arizona Republic editorial from 1969 the request was made due to Arizona's warm summers. If Arizona were to observe Daylight Saving Time, the sun would stay out until nine p.m. in the summer (instead of 8 p.m., as it does currently). Data suggested that we need to wait until about 9 p.m. DST to begin any night-time activities. In that way drive-in movies, moonlight rides, parents convincing small children it’s bedtime, etc, would be easier. Another Arizona Republic editorial from 1968 stated a similar proposition. dentified were Drive-in theaters, mom and dad's with small children, bars, farm owners opposed to Daylight Savings Time. As were people doing business with California customers and suppliers. Not to surprisingly, utility companies, late afternoon golfers, the late risers, and the people with business interests on the Eastern seaboard were for it. But don't be fooled by Arizona's DST stance. While the time in Tucson is not on DST, some areas of Arizona are. Not every area of Arizona is exempt from Daylight Saving Time today. The Navajo Indian Reservation practices DST. However, the reservation stretches across four different states. States that do observe DST. 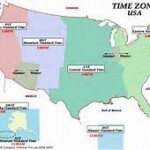 Should all of Arizona were to re-evaluate its position and choose to observe DST? Here are some of the changes that what would occur. Instead of sunrise at 5:30 a.m. during the summer, the sun would appear at 6:30 a.m.
At the end of the day, the sun would set at 9 p.m. instead of 8 p.m. Winter season sunrise and sunset time in Tucson would remain the same. A 2009 study from the American Psychological Association suggests DST has an adverse effect on the American work environment. The study reported that after and beginning and end of DST employees slept forty min less. They also had 5.7% more work place accidents and lost 67.6% more work days because of those accidents. The data was based on mining injuries between 1983 and 2006 by the National Institute for Occupational Safety and Health. Officially, Daylight Saving Time starts at 3 a.m. on Sunday, March 13. It officially ends on November 6, 2011. For those of us in Tucson, the time in Tucson Arizona doesn't change. For more on the rational and the original idea behind Daylight Savings Time - Click Here! Considering retiring in Tucson OR looking for a Tucson home as a winter retreat? We can help!